Closeup of guitar and muscian's hands. Why it is important for singers to work with good musicians. Musicians – the importance of working with good musicians: As a singer your only instrument is your vocals, which you will want to accentuate as much as possible. That is why it is really important that when you are performing or recording music that you work with good musicians that are going to accompany your vocal at least at the same level and highlight your voice to its best potential. TOP TIP: You are only as good as your musician! Performing with a musician who plays out of tune or inconsistent with timing is only going to reflect on you and in most cases put you out of tune or mess up your timing. There is a synergy of image i.e. they look part of your act. There is a synergy in the performance, that they do perform and they feel part of the act. An engagement and understanding between singer and musician. The above will all come together if you practise hard, communicate well and have the ability. A “good” musician doesn’t just mean that they are technically advanced or experienced on their instrument, obviously that is important, but it also refers to your compatibility with them. 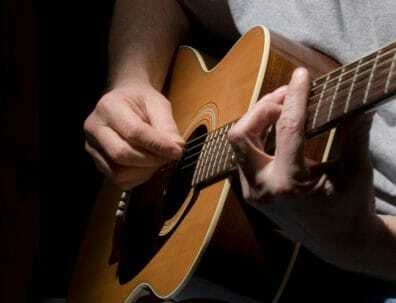 As a singer you need your accompanying musicians or band to work around you. If you make a mistake a good musician should be able to improvise around it making the mistake appear intentional. Experienced musicians who share a good rapport know each others strengths and weaknesses and know how to work around them. Communication between singers and other musicians is also really important. Singers need to be able to indicate when the musicians need to slow down, speed up or stop the music often through signals that can be integrated into their performance so that the audience are unaware of their directions. Singers need to be able to indicate their preferences with a nod or a look and the musicians need to take action to the new direction whilst keeping the flow of song. Building relationships can often take a long time, but working with good musicians is essential to giving the best performance you can.